Collection of ancient sources making it clear to anyone that ancient Macedonians were dinstict from Barbarians. During this period he [Alexander] defeated the Maedi who had risen in revolt, captured their city, drove out its barbarous inhabitants, established a colony of Greeks assembled from various regions and named it Alexandroupolis. There he [Philip] scolded his son and angrily reproached him for behaving so ignobly and so unworthily of his position as to wish to marry the daughter of a mere Carian, who was no more than the slave of a barbarian king. The neighbouring barbarian tribes were eager to throw off the Macedonian yoke and longed for the rule of their native kings. 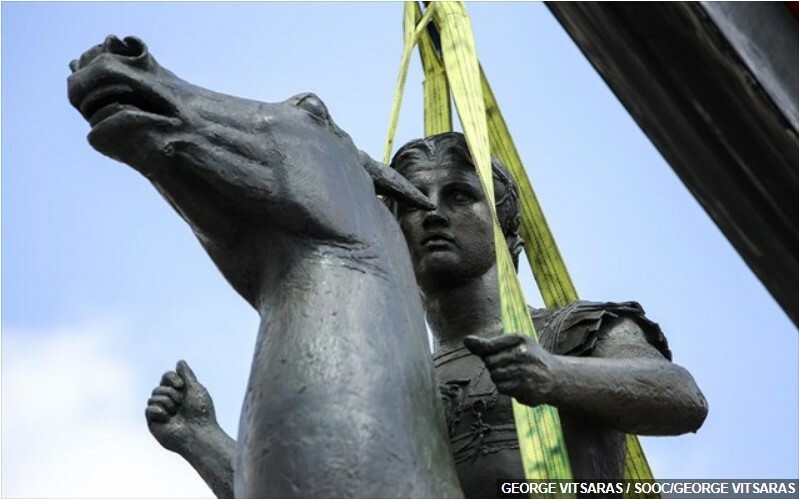 As for the barbarian tribes they [Macedonians] considered that he [Alexander] should try to win them back to their allegiance by using milder methods. Alexander, the son of Philip, and all the Greeks, with the exception of the Spartans, won these spoils of war from the barbarians who dwell in Asia. he [Alexander] managed to extend it round the enemy’s left, outflanked it, and fighting in the foremost ranks, put the barbarians to flight. It was here that the Macedonians received their first taste of gold and silver and women and of the luxury of the Barbarian way of life. On this occasion, Alexander gave a long address to the Thessalians and the rest of the Greeks. They acclaimed by shouting for him to lead them against the barbarians and at this he shifted his lance into his left hand, so Callisthenes tells us, and raising his right be called upon the gods and prayed that he were really the son of Zeus they should protect and encourage the Greeks. From this point he advanced into Parthia, and it was here during a pause in the campaign that he first began to wear barbarian dress. However he didnt go so far as to adopt the Median costume, which was altogether barbaric and outlandish. The barbarians were encouraged by the feeling of partnership which their alliance created, and they were completely won over by Alexander’s moderation and courtesy..
After the company had drunk a good deal somebody began to sing the verse of a man named Pranichus which had been written to humiliate and make fun of some Macedonian commanders who had recently been defeated by the Barbarians. IX. When Philip was besieging Byzantium he left to Alexander, who was then only sixteen years old, the sole charge of the administration of the kingdom of Macedonia, confirming his authority by entrusting to him his own signet. He defeated and subdued the Mædian rebels, took their city, ejected its barbarian inhabitants, and reconstituted it as a Grecian colony, to which he gave the name of Alexandropolis. Pericles collected tribute from the Greeks and with the money adorned the Acropolis with temples; but Alexander captured the riches of barbarians and sent them to Greece with orders that ten thousand talents be used to construct temples for the gods. Yet no such busy wars as these employed their time in civilizing wild and barbarous kings, in building Grecian cities among rude and unpolished nations, nor in settling government and peace among people that lived without humanity or control of law. But Alexander, building above seventy cities among the barbarous nations, and as it were showing the Grecian customs and constitutions all over Asia, quite weaned them from their former wild and savage manner of living. It may, however, be more justly averred of those whom Alexander subdued, had they not been vanquished, they had never been civilized. Egypt had not vaunted her Alexandria, nor Mesopotamia her Seleucia; Sogdiana had not gloried in her Propthasia, nor the Indians boasted their Bucephalia, nor Caucasus its neighboring Grecian city; by the founding of all which barbarism was extinguished and custom changed the worse into better. But it behooves us also, as it were, to make a new coin, and to stamp a new face of Grecian civility upon the barbarian metal. He also ordered the archers and slingers to run forward and discharge arrows and stones at the barbarians, hoping to provoke them by this to come out of the woody glen into the ground unencumbered with trees. While wintering in Macedonia Philip spent his time in diligently levying troops for the coming campaign, and in securing his frontiers from attack by the barbarians of the interior. Antiochus traversed the worst part of the road in the manner I have described, safely but very slowly and with difficulty, only just reaching the pass of Mount Labus on the eighth day. 2 The barbarians were collected there, convinced that they would prevent the enemy from crossing, and a fierce struggle now took place, in which the barbarians were forced back for the following reason. 3 Formed in a dense mass they fought desperately against the phalanx face to face, but while it was still night the light-armed troops had made a wide detour and occupied the heights in their rear, and the barbarians, the moment they noticed this, were panic-stricken and took to flight. 4 The king made every effort to restrain his men from continuing the pursuit, summoning them back by bugle-call, as he wanted his army to descend into Hyrcania unbroken and in good order. Philip, then, is but the nominal pretext of the war; he is in no kind of danger; but as he has for allies most of the Peloponnesians, the Boeotians, the Euboeans, the Phocians, the Locrians, the Thessalians, and Epirots, you made the treaty against them all, the terms being 5 that their persons and personal property should belong to the Romans and their cities and lands to the Aetolians. 6 Did you capture a city yourselves you would not allow yourselves to outrage freemen or to burn their towns, which you regard as a cruel proceeding and barbarous; 7 but have made a treaty by which you have given up to the barbarians the rest of the Greeks to be exposed to atrocious outrage and violence. To protect Parthiene against a Barbarian incursion, he [Alexander] had left Craterus behind with the troops that were under his command and the contingent led by Amyntas to which were added 600 horse and as many archers. The ladder was smashed so that no more Macedonians could join him and the barbarians began to gather inside along the bottom of the wall and to shoot at him from below. Both men were wounded and Limnaeus was killed, but Peucestas stood firm wile Alexander killed the Barbarian with his own hand. But he was wounded over and over again and at last received a blow on the neck from a club which forced him to lean against the wall, although he still faced his assialandts, At ths moment the Macedonians swarmed round him.. I am very proud of the fact that most of our people today respond to eachother’s comments -yet, we retain all that to a rather civilized manner-and also on a regular basis. 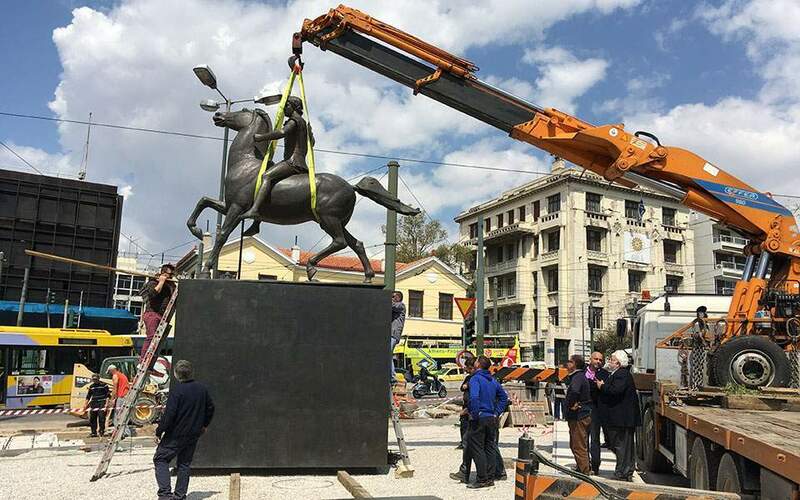 It is very appropriate for us Macedonians and also for the rest of the Hellenes too- to discuss and to argue over issues of particular historical significance and of great political importance to us -i.e. the Macedonian people, as it is those matters that concern either history or contemporary politics. The choice before us is clear: Either we deal successfully with issues, which may also concern our true ethnic and historic roots and origins or we fail completely to understand a significant portion of our ancient and glorious past history and culture, original Greek or contemporary Slavic language of old and of new, and so on. Since we have first learned dealing with these issues and with a relative success, we can all commence an interactive internet culture in concern to the Macedonian Question and also become the medium through which we will all finally shape and better ourselves either through the exchange of ideas, apopses and opinion or via the debunkment of the many conventional certainties and absolute truths that we have learned to accept, in respect to Macedonism, history and culture at either side of the border. That way, we may also become better equiped to expand our knowledge of the slavophone ethnic Macedonian people of the north and about the Greek-speaking Macedonians of the south who retained of their original language throughout the centuries. These are the necessary preconditions for the building of trust and for developing a better understanding amongst ourselves -and, yet, not only about our history and culture but also about the whereabouts of our exploiters and oppressors and also the means by which they succeed in deviding us and making us subjects to their rule. It is to our benefit to discuss over issues that are controversial. These may also include stories about the great deal of sufferings that our ancient and historic people has been put through when Macedonians became subjects to foreign and barbarian Kings and tribes. We could also discuss about oppression that our people suffered at the hands of Avar Slavic and Tatar Bulgarian political elites. We could also revisit the rather more controversial issue of the NOF and SNOF partisans that were once our true comrades and ethnic Macedonian brothers when we were together up in the mountains of the Greek Macedonian province only to play to the hands of Slav and of Bulgarian nationalistic propaganda right afterwards and as soon as the Greek communist and resistance movements deteriorated and began to fall apart. The many hardships that we have been through and the many misfortunes that struck upon our ethnic people have significantly affected ever since our particular cosmoantilipsis about the ‘other’ and ‘different’ to oneself. They have also shaped our negative social opinion and our also negative mass psychology about the ‘foreigner’ -i.e. the ‘barbarian’ and ‘usurper’. They have equally affected to -and also shaped of- our Hellenic Macedonism and their Neo- or pseudo-Slav Macedonism and our cosmopolitismos, respectively. Practically, there is a whole range of topics to discuss with comradely passion and also with a great zeal, in order to better understand those sensitive issues and enable us develop a better and yet a more secure cosmoantilipsis about being a Macedonian or -indeed- being a barbarian, which may vary from the ancient glorious Hellenic Macedonian civilisation to the rather more recent changes in respect to our ethnic culture that need to be seen as a direct result of foreign invasions, partitions and occupations of our land and of our originally Macedonian Greek people by the many raiding and invading barbarian tribes who have conqueered Northern Macedonia almost from antiquity to the present. It is of particular importance that even more ethnic Macedonians of the north become attracted to this particular discussion and yet decide to take part to some of the concurrent debates. Our ultimate objective should be one: The reunification of the whole of Macedonia with Greece; That is, the reunification from below of all original and ancient Macedonian lands. It is also significant that more and more people who originally come from the north become attracted to ancient Macedonian history so that they will become armed with the correct and proper arguments, which will prove quite essential if they are trully capable of dealing with the Slavic and Bulgarian rulers effectively -and also if they may write off all these foreign and rather oppressive political elites who suppress our ethnic Macedonian brothers and sisters who live out there in the north. Indeed, it is appropriate for all ethnic Macedonians who originate to the ancient Hellenic Dorian people’s stock of the old days and who concurrently either live in Greece or in FYROM to begin an exchange of their constructive views over certain historical and political issues. They also need to begin developing a unitary Macedonian culture anew, which would have been based upon the ancient Greek -and, in particular, upon the ancient Macedonian Greek culture as well, which can therefore become inseparable to the culture that is concurrently developed by the rest of the Greeks. For Macedonia and for true Macedonism! For Hellenism and for the glorious ancient Greek cosmopolitismos! For the Hellenic Republic and for a democratic federation of all Hellenic peoples throughout the contemporary Hellenic Peninsula! 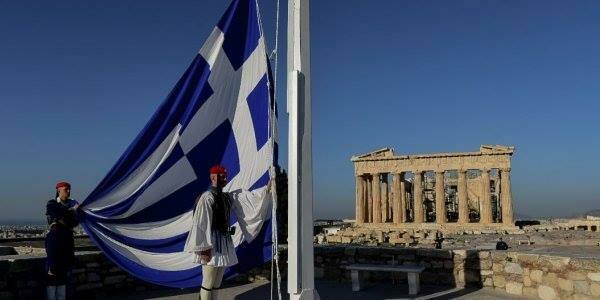 Long live Macedonia, long live Greece! Long live our ancient Dorian Greek Macedonian forefathers! P.S. My apologies for the many mistakes I do in English, since Greek is my native Macedonian tongue likewise to my ancient and historic forefathers Macedonians, who were of an also ancient Dorian Greek stock of people. wow… you know when I see that much text that I’m not interested in I only read the first and last line. But… in your case, I sat patiently and read every word of it because I can see that you’ve gone to alot of effort. I can’t say that I agree though and I’m much too tired to argue. Face it, if the truth was out there, there would be no need for opinionated exchanges. The problem is that this question dates back far longer than any literary findings. With “proof” it will be settled. With speculation it will continue to cause conflict and division amongst human beings. What came first… The chicken or the egg? Obviously, you ain’t Greek and definitively you ain’t got no chance of ever becoming one either, I might say and beleive me, that is with much regret on your behalf. Indeed, life is unfair and even can be tricky at sometimes! So far that I know. Since it is your own choice to remain a barbarian, it is ‘ok’ with me. But, to denounce the Greekness of an ancient Dorian Greek tribe -i.e. that of the ancient Macedonians, it is really an absurdity and also a non-historical thing to do either, to say the least. The Slavs and the Bulgars occupied and partitioned our northern Macedonian lands almost a thousand years after the original Dorian Greek tribe of the ancient Macedonians had settled to the geographical area of Macedonia proper, which is a long time before them. Sometimes, I wonder. How can you people claim something that does not belong to you? How can you ever claim you are a true Macedonian, if you are not also a Greek? How can you ever trully become a Macedonian without having prior to that learned anything at all and also appreciated to the utmost of their glorious ancient Greek culture? Of course, I understand that there are many Bulgars in FYROM these days and, furthermore, that there are also many Slavs too. By the same token, there are many more Albanians, Bosnians, Gypsies and Turks, as well as, many other foreign and barbarian cultures and ethnicities that are also living today throughout the northern part of our ancient Macedonian Greek land. Yet, the truth is that there are also many of us left there too; That is, there are many of our unique and original ancient Macedonian Greek tribe and yet many more of our native and indigenous people’s stock who are still living in FYROM today and who might concurrently speak either Macedonian Slav (i.e. the old west-Bulgarian dialect) or Vlach (i.e. a form of the Latin language) or Albanian (i.e. a Graeco-Illyrian dialect that got substantially Romanized in the years following the Roman conquest of the Hellenic Peninsula) or even Greek as we do speak in the south as well, and as our ancient and glorious Macedonian Greek forefathers did for many thousand years in the past before the hordes of the Avaric Slavs and of the Tataric Bulgars had ever set foot in the Hellenic Peninsula and in Macedonia, in particular. At this point, someone needs to remind you lot that the Avaric Slavs and the Tataric Bulgars at the time, were still living in the plains of Scythia and into the lands of Parthia and in Sogdiania, which is in Asia -not in Europe, and to lands which definitively lay outside the old and historic Hellenic Peninsula. 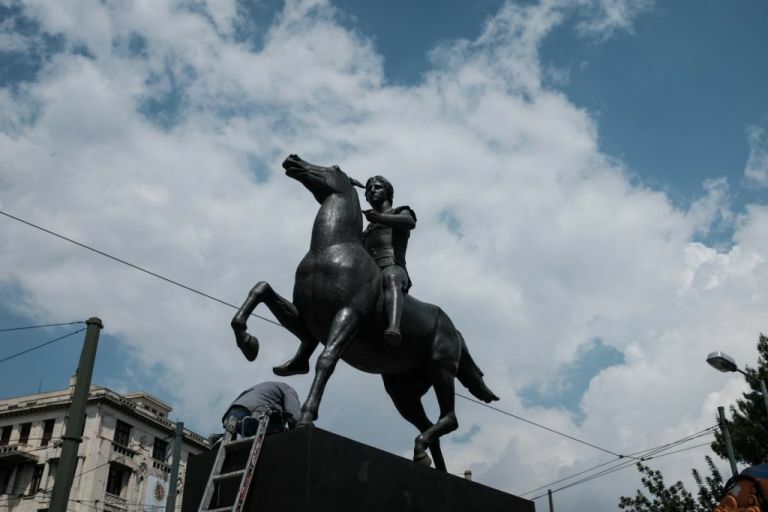 What the people of FYRO-Macedonia need to know is that there are some of you who might also have an either Slavic or Bulgarian ancestry and who do not at all want to be considered as Greeks -and, even as Macedonian Greeks properly speaking, yourselves. Nonetheless, you always need to remember that your foreign and barbarian people once migrated to our land and that was only recently, not at some time in the yet more distant past. Indeed, many of you came to the Hellenic Peninsula to partition the northern Macedonian land many centuries after the ancient and original Dorian Greek tribe of the Macedonians had ever settled into this land -that is, an alsmost thousand years before you had even started your invasions to the Hellenic Peninsula. In other words, you came here many many years after the Greeks and the rest of the Hellenes -i.e. the ‘Upper Hellenes’ or Paeones, Illyrians, Dardanians, Brygians, etchetera, had finaly settled here and lived into this glorious and historic land of ours. Indeed, the philoxenus and also very prosperous Greek people of the Macedonian lands had heard of your barbarian tribes only many years later and yet after the Romans had managed to put them into submission and slavery. Also, that is long after the Roman conquest and only few centuries earlier than the Mongolian Turks had invaded the Byzantine Greek empire and the also Greek Asia Minor from the east. You too invaded to Macedonia and treated her and her originaly Greek people as all foreign and barbarian raiders ever do; That is you ‘ve treated us as dynastic occupiers and as tyrranical oppressors and dynastic usurpers. You ‘ve succeeded to capture much of our glorious and historic Hellenic land and enslaved many of our ancient, native and yet indigenous Macedonian Greek people. Although your ethnic minority of Slavs and Bulgars still occupies much of our Macedonian land to this date, your days as occupiers and oppressors are numbered. It is about time that the slavophone ethnic Macedonian Greeks of the north -along with the vlachophone Aromanian Greek people and with the also mixo-Illyric Albanians and crypro-Christian Arvanitae who are originaly of an ancient Epirotic-Illyrian Greek stock and of an equally Pelasgian Greek ethnic descent to ourselves Greek Macedonians and also whose tribe got significantly romanized, albeit so violently and only after the Roman conquest had occured, will -sooner or later- manage to rise all up and drive you out of the northern Macedonian regions of our own. Someone needs to remind you also that you consist of a mixo-barbarian and of an also mixo-Macedonian Greek people, which adopted the Slavic language and culture (though only to a certain extend) as a result of the many centuries’ long occupation and partition. Indeed, it is true that to this date many of your foreign people still remain the honourary guests of ours to this ancient Macedonian Greek land. Yet, do not forget that this is the land of northern Macedonia, which your barbarian Slav and Bulgarian elites still occupy and politically dominate to this date having captured much of our glorious and historic region and also without yet having managed ever to gain our initial consent or approval. Most of you lot aren’t natives, neither are you of an indigenous Macedonian Greek people’s stock. Moreover, there are still some of you people who are still suppressed today and who are of a trully ethnic Macedonian Greek origin and ancient line of descendance. Indeed, there are many of you who are to this date ethnic Macedonian Greeks and who are left laying outside Greece into what is the formerly occupied land of FYROM. These are our ethnic Macedonian Greek brothers and sisters of the north and these are also of the original and of the true ancient Macedonian people’s stock, likewise to ourselves who today live in the south. In other words, they are the unconseous ethnic Macedonian Greeks of the old who were always living into that particular area. Yet, to this date, they are very much afraid to come out loud and speak of their true ethnicity or either of their hidden and also suppressed national Greek Macedonian feelings. Thereby, they chose not to express their original views over this matter and they have no other alternative than to keep their instinctively internal feeling of Greekness as their ‘esoteric’ and private or personal business. Nonetheless, they are of a significantly Greek and of an also substantial Macedonian Greek origin and ethnicity to this date, as well. Indeed, their Macedonism which is historic and therefore is also correct, today is suppressed by your non-ethnic Macedonian people; That is, also a people of foreigners, which consists of barbarians and of the invading tribal usurpers -i.e. the Slavs or the Bulgars, who were once managed to enslave our northern Macedonian Greek brothers and sisters and who still oppress them today, ever since. Moreover, all ethnic Macedonians who were once became slaves either to Avars, Huns and Bulgars on the one hand or to Scythe-Sarmatic Persian tribes, which were coming from the Caucasus on the other -and, also to the southernmost Baltic Slavs who came along them as their subjects and servants, have up to a certain extend forgotten completely of their true and original Macedonian history. In nowadays, it is proved with a great deal of certainty that most of them also fail to express ethnic feelings that relate anyhow to Greece and to the Greek cosmopolitismo. What is more important, manhy of them have not managed to retain throughout the past centuries of their glorious Macedonian Greek culture, nor of their original Greek language, either. They no longer claim their true and historic Greek Macedonian ethnicity as a result of foreign partition, rule and occupation of you lot -i.e. YOU, the foreign and barbarian oppressor and usurper. After all those centuries of Bulgarian and Turkish occupations, partition and rule and also after all those years of south-Slavic and Bulgarian propaganda and lies, many of our ethnic brothers and sisters in the north have finaly lost all of their true ethnic and historic roots and origins and concurrently follow your foreign and barbarian elite, which lays her non-historical and false claims over our ancient Macedonian land. Eventually, it is an unfortunate fact that most of your people today have completely lost much of the glorious and ancient ethnic Macedonian Greek origin. Yet, we agnowledge of the fact that this could only happen to a certain extend only and, that was also the result of the many centuries of Slavic, Bulgarian and Turkish rule and occupation; that is, it has been the direct consequence of a barbarous and also significant ethnic oppression, which has been assisted by the partitioning and also the occupation of their historic and glorious Macedonian land by the foreign Avaro-Slavic and Bulgarian political and socio-economic elite. Nonetheless, all natives of the northern Macedonian land -i.e. the indigenous Macedonian people, will sooner or later manage to set themselves free again of that terrible and oppressive yoke, which is bestowed upon them by a small ruling minority of ethnic foreigners and also barbarians. Some day soon, our slavophone ethnic Macedonian brothers and sisters of the north will manage to liberate the northern Macedonian land and will succeed to unite it with the Macedonian Greek motherland in the south. Thus, they still need to send a clear and a definitive message to the Bulgarian and to all of the Slav rulers of theirs -and, that is none other than the oath they will soon take to send their oppressors back to where they came from when needed and by any means necessary to make that happen. The word MYTHOLOGY (from the Greek μυθολογία mythología, meaning “a story-telling, a legendary lore”) refers to a body of folklore/myths/legends that a “particular culture believes to be true” and that often use the supernatural to interpret natural events and to explain the nature of the universe and humanity. You know westclub, I really don’t care where anybody came from. But… the FACT is, there has always been a Macedonia. Google till your heart’s content and you will always find that Macedonia has and always is referred to as a seperate region. But I do appreciate your attempt at educating me in what mythology you believe in. Correct, ‘Macedonians and the other Hellenes’ or as it is a yet more known from its free translation for the non-Greek speakers and for all other foreigners to Greek culture and to ancient Greek civilisation: ‘Macedonians and the rest of the Greeks’, that’s exactly my point. It’s not my fault that you obviously can’t read it up from the prototype. You ‘ve lost it somewhere in translation, to say the least. But, try again! Evidently, you ‘ve got a great potential in really learning something about the ancient Dorian Greek tribe of the Macedonians. Together we have a world to win! westclub4, you speak as though you know a great deal but evidently you know nothing! Far less than a second grade kid. The alleged phrase is `Macedonians and the other Hellenes’ NOT “the greeks and the other greeks”???? Grow up! From the phrase ‘Macedonians and the other Hellenes’ everyone gets that Macedonians were clearly Hellenes too. It only takes a second grade kid to understand that much. So, our ethnic Macedonian sister of the north, since you consider yourself to be a Macedonian, I may also insist on considering you a Greek, as well. Welcome to Hellenism sister! 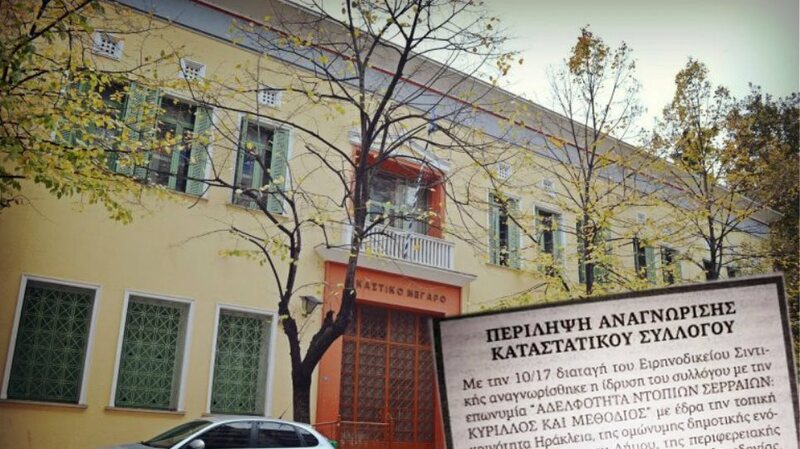 Welcome to the Greek Cosmopolitismos! Philip II of Macedon, in August 338 B.C., had defeated Thebes and Athens at the battle of Chaeronea in Boeotia. During the battle, the overconfident Athenians advanced against the retreating Macedonians, leaving the Theban Sacred Band exposed. Occupied fighting a Macedonian phalanx of infantry, the Sacred Band was unable to withstand a Macedonian cavalry charge, believed to have been led by Alexander (the Great), Philip’s son. The Theban commander, Theagenes, was killed. The isolated force fought on until annihilated. The rest of the Macedonian force moved in behind the Athenians. About 1,000 were killed and 2,000 captured. The rest ran. (Philip II of Macedon!!! Macedonia, get it?) There’s your difference! By the way… They referred to Barbarians as those that speak another language. You have written in English and I understand it! Yet I am not English! Shocking!!! When Hellenes (Greeks) FIRST discovered Macedonians the ancient Greeks referred to them as Barbarians, as they did not speak the same language. This was way before Philip II. You are concentrating on and around 330BC. By then, Macedonians were becoming modernised and mixed in with Greeks. Why would they say “Macedonians and Hellenes” if they are the same????? It’s OBVIOUS that they are NOT the same people! Which category do you fall under? MACEDONIANS or OTHER HELLENES? By the way, isn’t it ironic how the word Hell is in your name? They do say that Greed is the root of all evil. How can you infringe on human rights by trying to steel identity away from people? 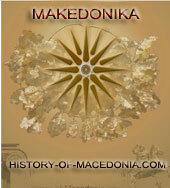 Macedonians are from Macedonia. They were once called “barbarians”. However all your copying and pasting is too far in the future. You may as well have told everyone what was on the news yesterday! But to be honest, I’m not interested in your heritage as it doesn’t apply to me. I do understand where your coming from with your nonsensical beliefs though. Considering that Greeks worshipped and believed in Mythological Gods. The last thing that Macedonians would want is the same Hellenic reputation of being back stabbing snakes. We’re proud to be Macedonian and would prefer to stay that way, thanks all the same!